There’s a buzz in the learning marketplace these days, whether it’s in the arena of education or corporate training. That buzz is centered on the concept of mobile. Now, I know what you’re thinking…”mobile is nothing new.” I’ve been mobile for years – I have a phone! Exactly! And it’s because of that very object that the possibility of a whole new human experience has emerged. Consider for a moment – the object you have tethered to your body (well maybe not you but many) has transformed into a device of many powers. 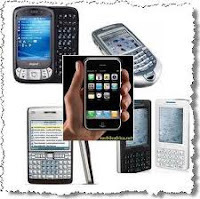 For the moment, let’s not call it a phone but the following: a coach, a clock, a health monitor, a training resource, a teacher, a navigator, a bank, a tv, a radio, an assistant, a researcher…ok you get the point. The phone (and now tablets) has been transformed into virtually anything I need while I’m on the go. In particular, smartphone platforms have set the stage for just about anything from anyone’s imagination to be transmuted into a function on the phone via the house of an app. I know you’ve heard the phrase, “There’s an app for that!” When last checked the number of apps available on the market are at 500,000 on Apple, 450,000 on Android and climbing. In summary this simple, ever evolving phenomenon has presented a significant opportunity for us - its empowered us to do more on own own, and in many cases in our own time in our own way. These 3 tips follow my favorite career success advice: be relevant, be competent, be able to work with others. You now have special powers in the palm of your hand to significantly achieve all 3 of these…and hey – there’s plenty of apps for that! Have you experienced mobile learning-training? Sample The 1% Edge Portable Coach - It's professional development on the go.